I'm a freelance writer based in Perth, Western Australia, who enjoys writing about the things I love: travel, nature-based activities, the arts, spirituality and creative, fun activities for children. With Western Australia's next school holidays approaching in approximately one week's time, parents throughout Perth are anxiously looking for fun, affordable activities to keep their youngsters entertained. For something a little bit different, why not head to The Sacred India Gallery, in Bennett Springs? 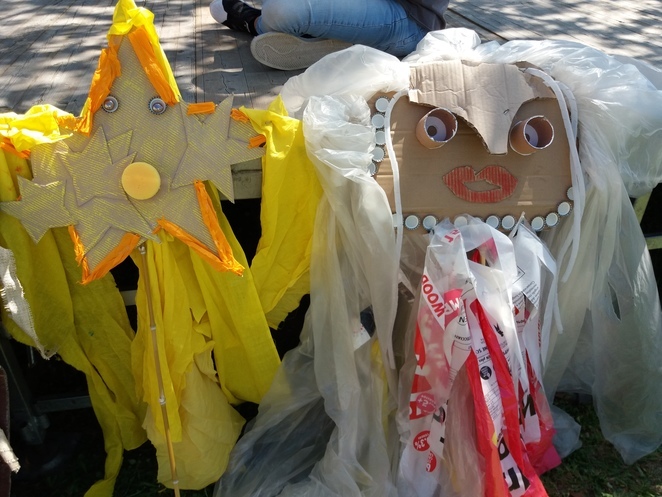 This beautiful creative space is the popular venue for a variety of cultural events throughout the year, and during the first week of the holidays, a couple of fabulous whole-day creative workshops for children will be held by visiting artist Kalindi (Christine Filion). The workshops offer children a fun interactive storytelling experience, especially designed to unearth their innate creativity and provide ample opportunities to explore this ancient art-form. During the first workshop – held on Tuesday September 26th - children will create colourful story stones. The second, held on Thursday September 28th, will provide them with the skills to create characters that are literally larger than life. 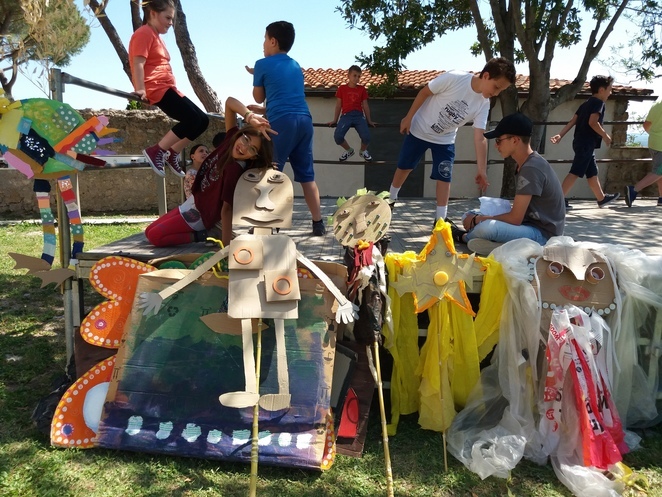 In this workshop youngsters will design and create giant puppets from recycled materials. 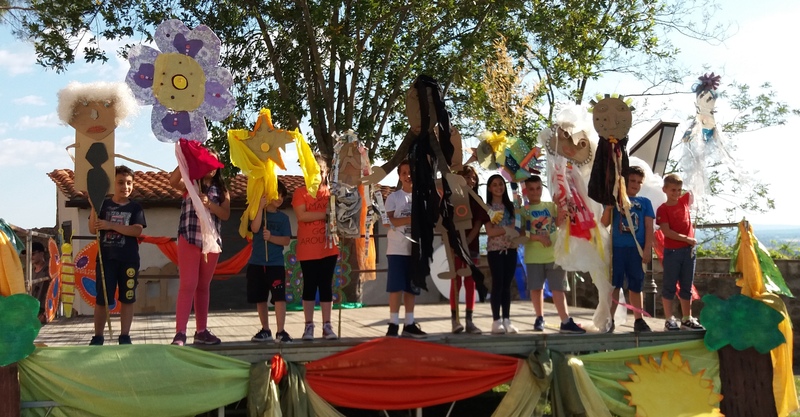 Currently based in Italy, Kalindi is a Canadian-born trilingual teacher, artist and puppeteer whose mission is to creatively stimulate young minds and make learning fun. Although she conducts regular workshops in her home country, this is her first visit to Australia and she looks forward to sharing her skills with local families. 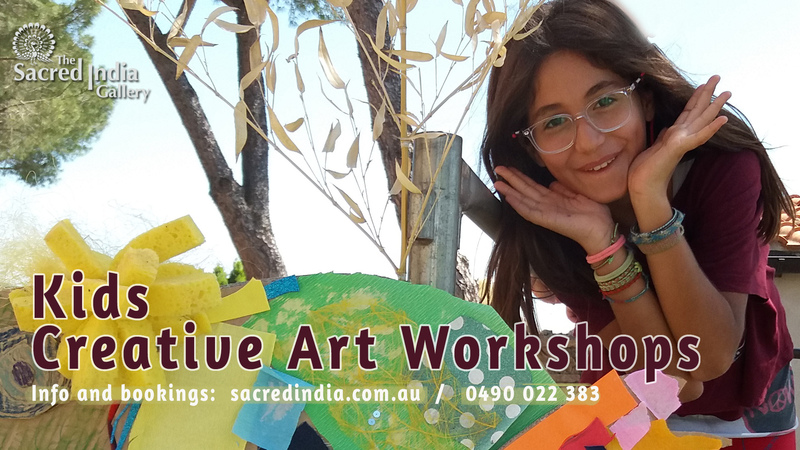 The workshop facilities will be situated in special marquees under tall shady gum trees, in the green scenic setting of the Sacred India Gallery. Located at 76 Dulwich St in Bennett Springs, right next to Whiteman Park, the gallery's beautiful natural setting will be sure to ignite your children's imagination and innate creativity. Kalindi's creative art workshops have been specially designed for children aged from eight to eleven years. They're full-day workshops, beginning at 10am and continuing until 4pm. The cost of each is normally $75 but there's a special discount price of $60 on offer for Weekend Note readers. To take advantage of this offer, visit this link and enter the promo code WeekendNotes. These rates include all art materials and a delicious Italian lunch. For further information and bookings, visit The Sacred India Gallery website or call 0490 022 383. Places are limited to ten participants, so be sure to book early. Why? Children will relish the opportunity to explore and ignite their innate creativity. Cost: $75.00 per child for each workshop. There are some special offers as well, so check out the website to learn more. Where is the Best Picnic Spot in Perth?